Water Wave Lace Front Wigs? 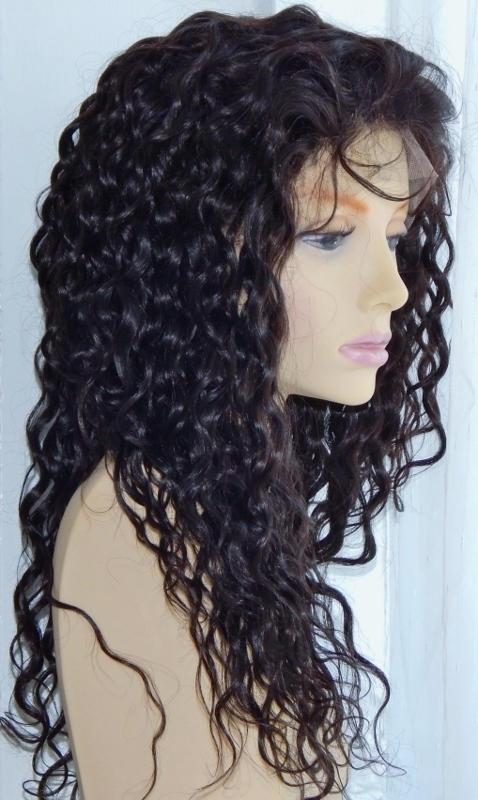 "Are there different types of water wave lace front wigs - different shops have different textures, why?" 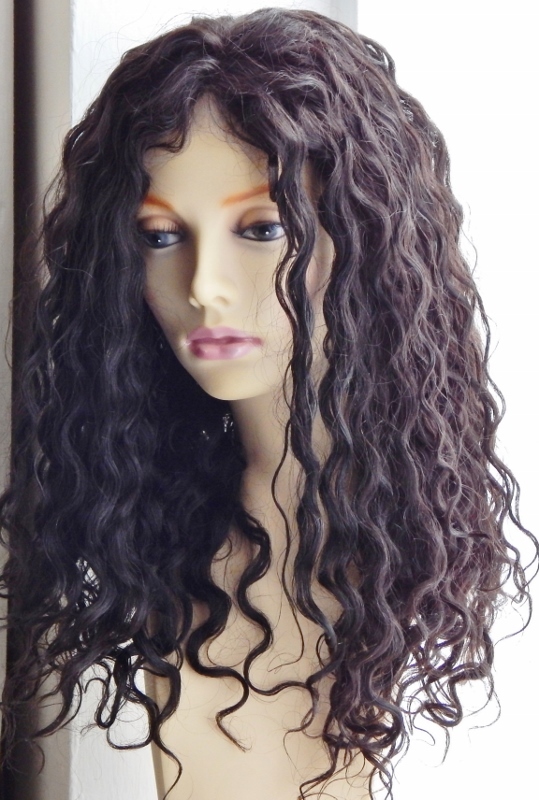 Not all water wave lace front wigs have identical textures. It's a funny thing, but there isn't a regulatory body for hair textures in the hair industry and different manufacturers will "make" a water wave texture differently. You can always contact the retailer to ensure that image used to list the item is a true and accurate representation of the item you will receive. Many retailers will actually make this clear on the listing but a warning alarm should start ringing if the listing page for your item only shows a picture of a celebrity (unless of course you're buying wigs designed by celebrities such as Vivica Fox, Raquel Welch, Patti LaBelle and so on). However each retailer should have a consistent version of each particular texture, this way if you buy a water wave lace wig from the same retailer in January and again in June, you should receive the same wave pattern each time. "The texture of my water wave lace wig changed slightly after I washed the wig, should this happen?" No it should not happen to a synthetic lace hair wig as the synthetic fibres should actually be fixed. Yes it can happen (and usually does) to a human hair lace wig. The best way to describe it is to compare it to going to a salon. When you go and get your hair done, your hair will usually be "set" (using setting lotions or other products) before you leave. This is basically what happens when human hair wigs are manufactured. You receive a wig that looks like "it just stepped out of a salon". Once you wash it, the "salon fresh" look leaves and the everyday texture appears. However it shouldn't be vastly different from the "new in box" texture. 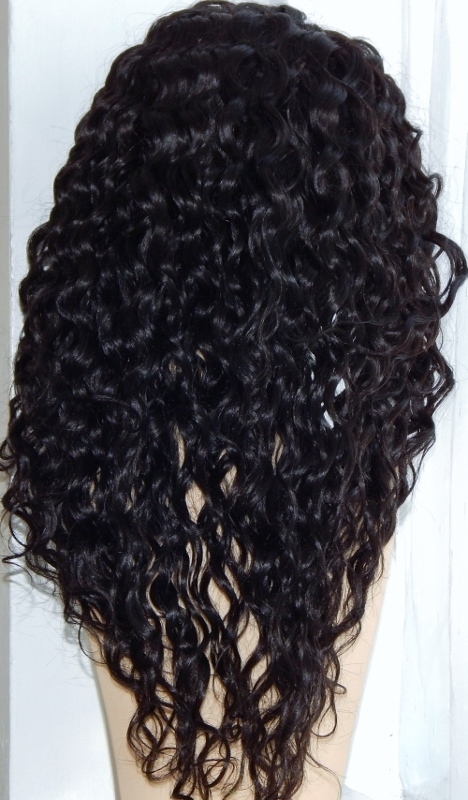 We test our products, so the image below shows the water wave lace front wig after washed it with a conditioner - there is a subtle difference in texture but the waves are more than present. "How do I care for water wave textured lace front wigs?" The key to caring for human hair lace wigs of any texture is to treat them like you would treat your own growth hair. Hair essentially requires three things in order to be healthy; protein, moisture and lubricants. Conditioning the hair provides the protein and as protein can dry out the hair (causing it to become brittle), moisture is required. Now the basic element of moisture is water, but the mechanics of sealing moisture in your hair is to use a lubricant - typically oil. So for more details you can read all about how to care for water wave textures here. "Are your water wave lace front wigs the wigs you actually sell or are they just sample or stock images?" Firstly, we provide free guides and information about wigs, hair extensions and hairpieces (as well as associated accessories). These articles and guides use images to illustrate the point - some are items we sell and others are stock images from suppliers. Secondly, we sell wigs, hair extensions and hairpieces. The images on our listing pages are always the actual items that we sell. This means that we handle the items personally, take the images ourselves (ahem, yes, we know, we ain't so great at taking photos - but we're sorting that out -yay!). We use the same suppliers for particular textures so we guarantee consistency of standards for us and of course, you (hooray! ).